Photo By Tamara Lush/AP In this May 20, 2014 photo a remote control video is displayed strapped onto a large toy dog at the Special Ops Conference in Tampa, Fla. The video can be strapped to a military dog’s backpack. The conference is one of the key events for the suppliers and contractors of elite commando units worldwide. TAMPA, Fla. (AP) — A conference for military special operations forces and their gadgets, weapons and tools is being held in Tampa, Florida, this week. The Special Operations Forces Industry Conference is a key event for suppliers and contractors of elite commando units worldwide. It’s not just US special operations forces that are shopping this week. International forces from 84 nations are also attending. On Wednesday, a multi-country group of commandos will perform land, sea and air exercises in downtown Tampa. 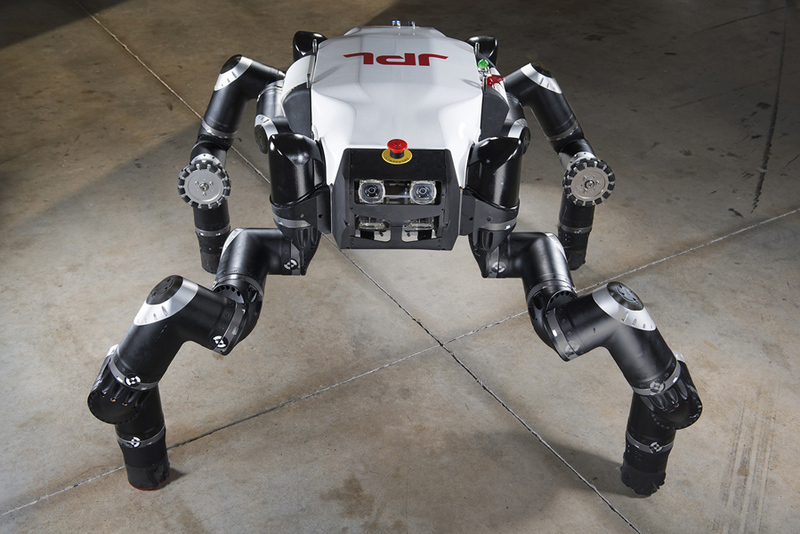 – A HARV, or Highly Adaptive Robotic Vehicle. One version looks like a silver child’s ball, but the 4-pound sphere with cameras can be thrown, controlled remotely and outfitted with night vision and microphones for quick surveillance. – A lightweight medium machine gun that uses .338 Norma Magnum cartridges, eliminating the gap between .762mm and .50 caliber weapons. It’s capable of defeating Level III body armor and “incapacitating soft skinned vehicles,” according to a General Dymanics fact sheet. A torpedo-shaped underwater robot called Bluefin 21. It’s built by a subsidiary of Battelle, Bluefin Robotics. One of these vehicles is currently being used to search the ocean floor for the site of the missing Malaysian airplane. A remote controlled video monitor that can be strapped to a military dog’s backpack. An “RP Strike-M Maverick LTV,” which is a rugged all-terrain quad with a large weapon mounted to the back.